Rights of Man: Being an Answer to Mr. Burke's Attack on the French Revolution ... Part I. 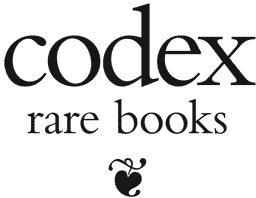 To view the full details of Rights of Man: Being an Answer to Mr. Burke's Attack on the French Revolution ... Part I. and our continuously-growing catalogue of over 838 other titles, subscribe to Codex Rare Books today! Gallery of 15 pages is available to subscribers.